This image was taken in New Jersey at Duke Farms just at the start of a winding dirt path. 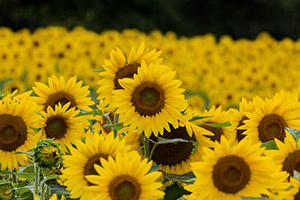 The farm had this huge field of sunflowers in the fall and i just couldn't help myself to not snap a photo. To make this image, I warped a CD by heating in an oven and then added water droplets. 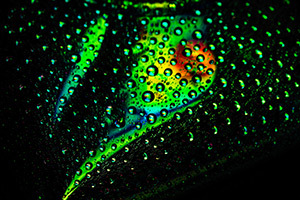 Because of the lighting I used and the mirrored finish on the CD, the water droplets reflect the colorful CD. 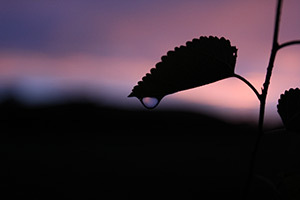 This image was taken after a storm passed by as I was visiting a friend's house. I took advantage of the beautiful sky, and with a fast shutter speed, I snapped the image. The faster shutter speed allowed me to capture the colorful bright sky while it left my foreground dark. This process is called backlighting. Copyright © Galina Eccles 2015 - .